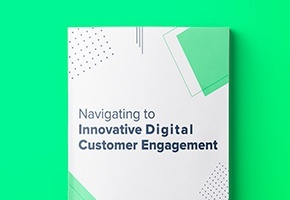 In this newly released report, you'll gain a unique perspective from senior marketing and digital executives from leading brands as they discuss the significant digital transformation trends and challenges impacting both consumers and brands. Further, each executive shares new strategic insights about how brands more effectively engage with consumers to differentiate their CX in an omni-channel environment. Don't miss this opportunity to gain strategic and tactical insight from peers to improve your competitive edge.